As the great prophet Kyrie Irving once said, “I’m telling you, it’s right in front of our faces. They lie to us.” This quote, of course, concerns the theory that the government and scientific community has been lying to everyone and that the Earth is not round, but indeed, quite flat. 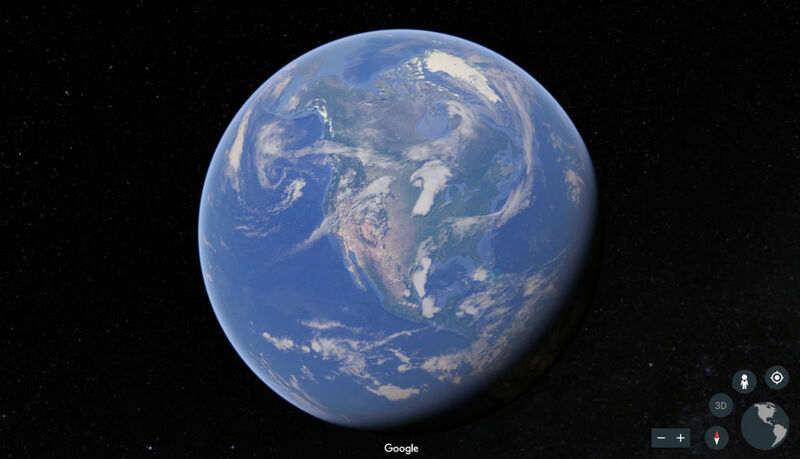 In an attempt to double down on the silly notion that our flat planet magically spins around a giant fire ball in the sky, Google has launched a revamped version of Google Earth, complete with guided tours, an “I’m feeling lucky” feature, and so much more. According to Google, this build has been two years in the making. From the time I’ve spent with it so far, it really shows. Upon boot, you will be provided a brief tour of the new features. You’ll head to Paris to see the Eiffel Tower up close and personal, followed by a trip to the Matterhorn. One highlighted feature allows users to send a postcard from a virtual 3D spot, basically a link that will take friends and family to that exact viewpoint. If you stumble across something awesome, you can view it from any angle in 3D, then send it off to be viewed by others. There are a lot of new tricks to play with, so go take a look on your desktop or the updated Android app.